Reactor Technology at its best. 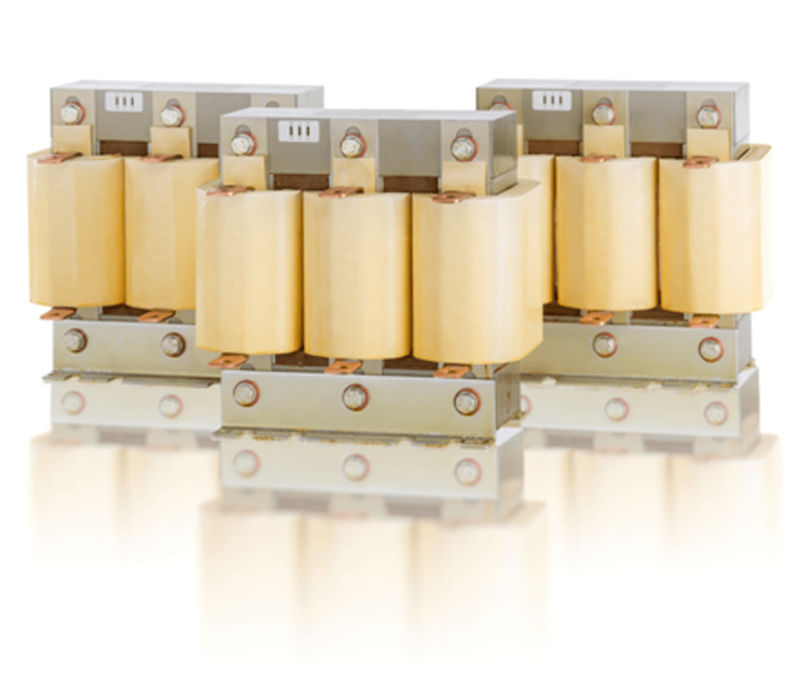 Hans von Mangoldt standard line of Type DTR Capacitor De-Tuning reactors are specially made for power factor capacitor banks. Mangoldt offers exclusive PolyGap® core construction for minimum stray flux, minimum losses due to harmonics, and precise, balanced inductance in all three phases. 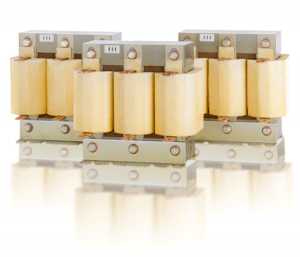 Hans von Mangoldt has become the standard for excellence in reactor (inductor) design due to their precise inductance, accurate design and performance characteristics. Mangoldt Type DTR De-Tuning reactors protect capacitors from harmonics. Type DTR De-Tuning Reactors 3 phase, cULus listed, & available IEC. Call us 1-262-618-2403, Email or visit our Contact us page for Quotes and Application Engineering. Low Voltage Routine Test: Inductance at RMS current, Inductance linearity, Dielectric test. Type Test: Inductance, Q-factor, power losses and temperature rise tested with specified (actual) harmonic currents. Inductance linearity, dielectric voltage test.